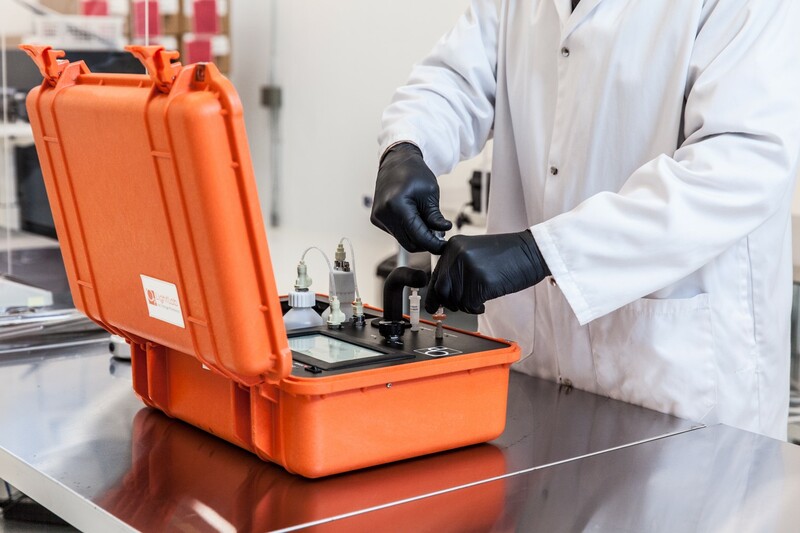 Last week at the National Cannabis Industry Association’s (NCIA) Cannabis Business Summit, Orange Photonics unveiled their newest product added to their suite of testing instruments for quality assurance in the field. The Terpenes+ Module for the LightLab Cannabis Analyzer, which semi-quantitatively measures terpenes, Cannabichromene (CBC) and degraded THC, adds three new chemical analyses to the six cannabinoids it already reports. CBC, a cannabinoid typically seen in hemp and CBD-rich plants, has been linked to some potentially impactful medical applications, much like the findings regarding the benefits of CBD. The module that tests for it, along with terpenes and degraded THC, can be added to the LightLab without any changes to hardware or sample preparation. 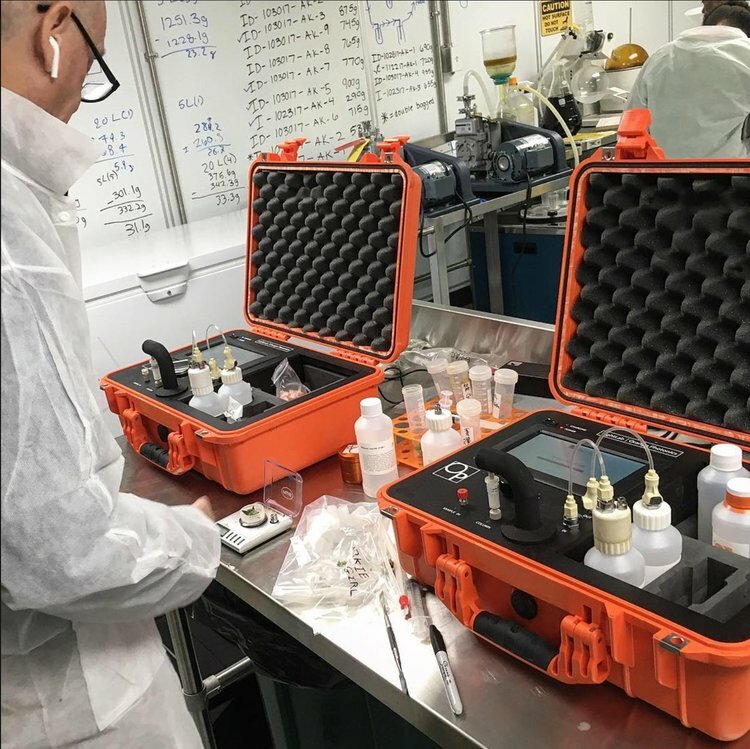 According to Dylan Wilks, chief technology officer of Orange Photonics, this could be a particularly useful tool for distillate producers looking for extra quality controls. Cannabis distillates are some of the most prized cannabis products around, but the heat used to create them can also create undesirable compounds,” says Wilks. “Distillate producers can see potency drop more than 25% if their process isn’t optimized”. With this new Terpenes+ Module, a distillate producer could quantify degraded THC content and get an accurate reading for their QC/QA department. 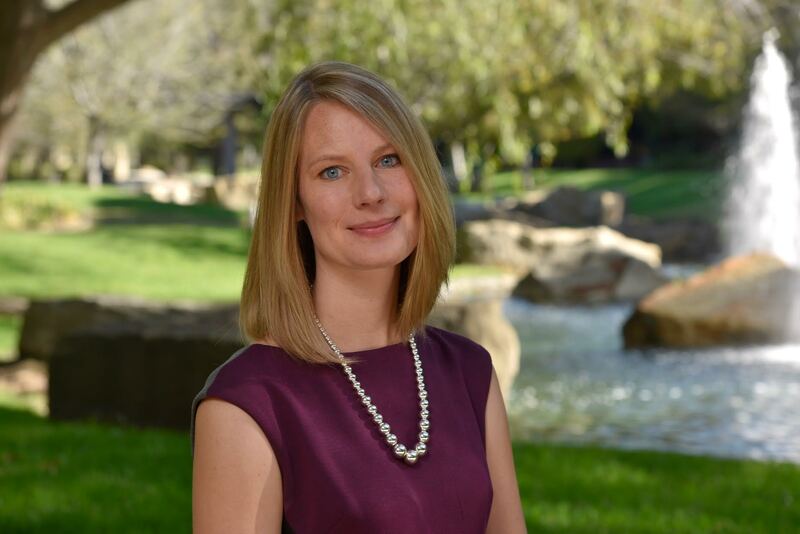 We spoke with Stephanie McArdle, president of Orange Photonics, to learn more about their instruments designed for quality assurance for growers and extractors alike. According to McArdle, this could help cultivators and processors understand and value their product when terpene-rich products are the end goal. 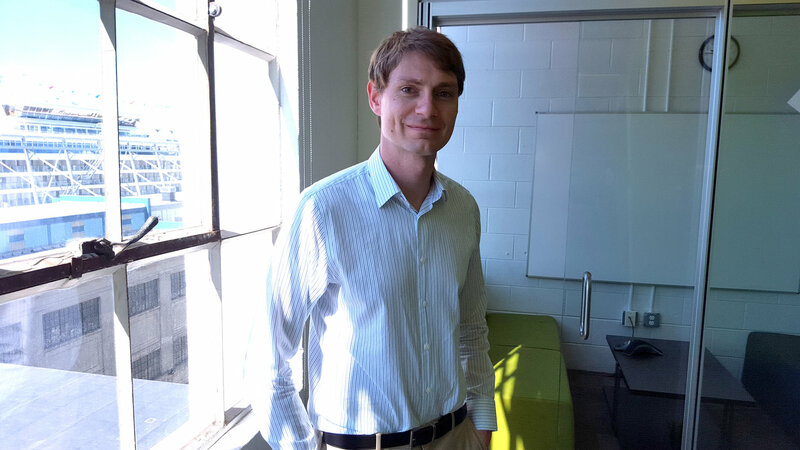 “Rather than try to duplicate the laboratory analysis, which would require expensive equipment and difficult sample preparation, we took a different approach. We report all terpenes as a single total terpene number,” says McArdle. “The analyzer only looks for monoterpenes (some common monoterpenes are myrcene, limonene and alpha-pinene), and not sesquiterpenes (the other major group of cannabis terpenes, such as Beta- Caryophyllene and Humulene) so the analysis is semi-quantitative. What we do is measure the monoterpenes and make an assumption that the sesquiterpenes are similar to an average cannabis plant to calculate a total terpene content.” She says because roughly 80% of terpenes found in cannabis are monoterpenes, this should produce accurate results, though some exotic strains may not result in accurate terpene content using this method. One, cannabis is incredibly complex and can contain over 100 different terpene molecules, which can collectively act as anti-inflammatories (Chen et al., 2014), anti- microbial agents (Russo, 2011), sleep aids (Silva et al., 2007), bronchodilators (Falk et al., 1990), and even insulin regulators (Kim et al., 2014). So let’s say that you get your stock material tested and the laboratory screens the product for the top 25 most-prevalent terpenes: alpha- and beta-pinenes, linalool, limonene, beta-myrcene, etc. At that point you utilize this information to supplement your extraction product with these terpenes. However, you still may be missing information about other important molecules such as trans-2-pinanol, alpha-bisabolene and alloaromadendrene that are produced at extremely low, yet therapeutically relevant concentrations in the plant. So essentially with the limited information of the terpenes actually present in your stock material, you would be trying to rebuild a puzzle with only a small fraction of the pieces. Even Ben Affleck’s character in the movie ‘The Accountant’ can’t effectively pull this off. 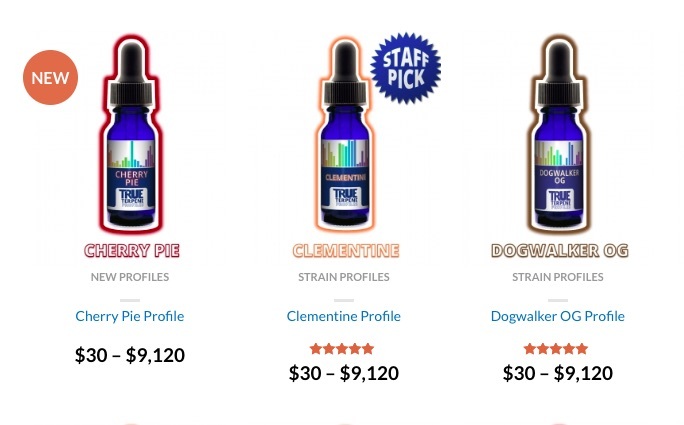 Secondarily, not all commercially available terpenes are created equal. I’ll be the first to admit that I don’t have decades of experience vetting the quality of terpenes currently on the market; however, the several times that I have thrown samples into the GC-FID (Gas Chromatograph equipped with a Flame Ionization Detector) I have been unpleasantly surprised. Expecting beta-caryophyllene and detecting caryophyllene oxide is frustrating and in my opinion, such inaccuracies are wrong and should not be accepted as colloquialisms. The moral of the story here is that in order to produce premium cannabis extracts/concentrates, the stock material needs to be handled with extreme care in order to retain the bouquet of terpenes in their natural ratios. This is incredibly important given the volatile nature of terpenes and their seemingly ephemeral, yet vital, nature in cannabis. Thankfully in this bourgeoning industry there are a number of extraction professionals who are delicately navigating the balance between art and science to produce premium products that are incredibly terpene-rich. However, for every alchemyst there is also someone trying to circumvent nature and while as a scientist I am inherently in favor of experimentation, I am also an admirer of natural processes. L. Chen et al., “Protective effect of p-cymene on lipopolysaccharide-induced acute lung injury in mice,” Inflammation 37(2), 2014. A.A. Falk et al., “Uptake, distribution and elimination of alpha-pinene in man after exposure by inhalation,” Scandinavian Journal of Work and Environmental Health 16, 1990. S. Kim et al., “Dietary camphene attenuates hepatic steatosis and insulin resistance in mice,” Obesity 2, 2014. E.B. Russo, “Taming THC: Potential cannabis synergy and phytocannabinoid-terpenoid entourage effects,” British Journal of Pharmacology 163, 2011. M.I. Silva et al., ” Central nervous system activity of acute administration of isopulegol in mice,” Pharmacol. Biochem. Behav. 88(2), 2007.